#1 NATIONAL BESTSELLER Far more than a superb memoir about the highest levels of professional tennis, Open is the engrossing story of a remarkable life. Andre Agassi had his life mapped out for him before he left the crib. Groomed to be a tennis champion by his moody and demanding father, by the age of twenty-two Agassi had won the first of his eight grand slams and achieved wealth, celebrity, and the game’s highest honors. But as he reveals in this searching autobiography, off the court he was often unhappy and confused, unfulfilled by his great achievements in a sport he had come to resent. 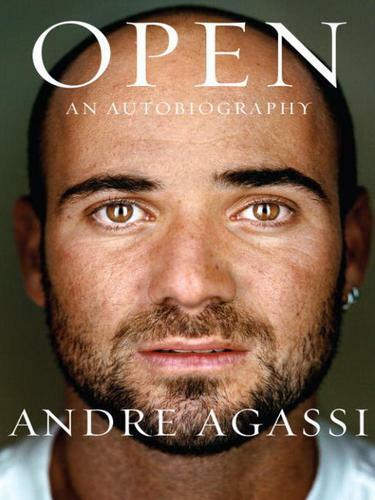 Agassi writes candidly about his early success and his uncomfortable relationship with fame, his marriage to Brooke Shields, his growing interest in philanthropy, and—described in haunting, point-by-point detail—the highs and lows of his celebrated career. From the Trade Paperback edition.